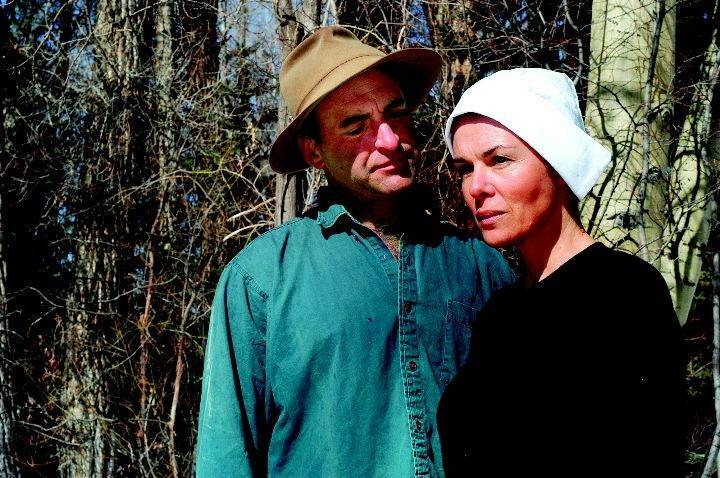 Lee Sullivan and Kathy Pelowski star in The Crucible. Aspen Times photo/Mark Fox. When Kent Reed exited Aspen in 1990, he was tired of wearing a multitude of hats in the local theater community. Since founding Theatre Under the Jerome – which would become Aspen Theatre in the Park, and now Theatre Aspen – in 1983, Reed had served his creation as director, actor, producer, fund-raiser and the person in charge of ensuring a comfortable temperature in the Theater in the Park tent. He even lived in a tiny room in the pre-renovation Jerome, tying him even more tightly to the stage.So Reed fled to Chicago, to focus on his acting. He worked on the theater stage, in television and independent films, and had a role in the 1998 big-budget film “U.S. Marshals.” But success was spotty, “not enough to warrant the effort I was putting into it,” said the 61-year-old. Plus, he missed the West. So last summer, Reed returned to Aspen.He now finds himself in much the same position as when he left. He’s acting; he was featured as Mr. Potter in Aspen Theatre in the Park’s production of “It’s a Wonderful Life” in December. And he’s directing a production of the late Arthur Miller’s “The Crucible,” which opens this week at Aspen High School’s Black Box Theatre. Operating essentially on his own – though under the auspices of Aspen Stage – Reed has had to cast the 16-person show, raise money and handle logistics. And as of two months ago, when a would-be actor quit, Reed has found himself featured in the role of Reverend Parris, an opportunist at the center of Miller’s drama about the 17th-century Salem witch hunts. So for the first time since 1983, when he pulled double duty in Lanford Wilson’s Vietnam aftermath drama “Fifth of July,” Reed is directing himself. “It’s like starting over from scratch,” Reed said of his life in theater, which began in Aspen in the 1970s and included a three-year stint studying in New York.The degree of difficulty in directing oneself – tremendous, says Reed – and staging an emotionally involved play with a large, mostly amateur cast while working a day job in construction – “not an easy row to hoe” – hasn’t got Reed down. The issues raised by “The Crucible,” which Reed notes was the playwright’s favorite, surpassing even his “Death of a Salesmen,” seem to supply all the energy needed to fuel the production. And though “The Crucible” is set in the New England of the 1690s, and was written 50 years ago as a cautionary tale about the McCarthyism that had taken hold of America, Reed finds the play frighteningly timely.”It’s almost Shakespearean, it’s so timeless,” he said. “It addresses things that are as relevant today, and as dangerous today, as during the McCarthy era.””The Crucible” centers around John Proctor, an imperfect man (played by Lee Sullivan). Proctor is an adulterer, having had an affair with young Abigail Williams (Veronica Hunsinger-Loe). But the mass hysteria stirred up by Abigail and her companions, which eventually spreads to the powerful and pious clergymen who rule Salem, becomes disconnected from Proctor’s actual sin. Proctor ultimately stands accused of being in league with the devil, and faces the choice of death by hanging or confessing to witchcraft. (Miller drew from real-life accounts of the Salem witch trials, in which some 19 people, children among them, were hanged. )In 1953, when “The Crucible” premiered, the play was a transparent reflection of the hearings conducted by the House un-American Activities Committee. The demon then was communism, and Americans with or without communist affiliations were brought before Sen. McCarthy’s committee, forced to reveal their “pink” leanings, and give names of others so involved. Among the notorious results of the investigation was the blacklist, a group of Hollywood actors and writers put out of work through government pressure on their bosses.The functional equivalent today is the Bush administration, which has used various means to coerce complicity with its policies. For Miller, and Reed, the idea that one group has a monopoly on truth is one that begs to be popped with a sharp pin. “When people get in their mind that they have the big picture for the country, and people should fall in line with their view of things, that gets dangerous. Especially when it’s born out of fear, as it was in Salem, as it was during McCarthy’s era, or as it is today,” said Reed, who used a scene from “The Crucible” in an Aspen Theatre in the Park workshop he conducted last summer. “People make judgments in an atmosphere of fear that, if made in a more sanguine time, wouldn’t have been made. You get a sort of witch hunt like you have today. Or in Salem. Some really innocent people can get their foot stepped on really hard.”Reed finds the play not only timely, but complex and, based as it is on real events, tightly tied to real life.”These were characters who walked the earth, and they are good people who got hanged,” he said. “There were people who had political grudges against them, and someone pointed the finger and they got hanged. And for a hundred years after, no one would live on their land because the stigma was attached. People thought the devil might be lurking in the well. It was a frenzy of paranoia, and that’s what McCarthy was and that’s what we have to watch out for today.”It might have been just as easy for Miller to point his own finger at those finger-pointers. But what makes “The Crucible” so emotionally rich is how much flesh and blood the characters carry. Proctor, the hero of the tale, for example, is no innocent. Reed doesn’t see the witch-hunters as purely evil, but misguided and given to the herd mentality. And it wasn’t merely spite or mischief that drove them, but circumstances as well.”There had been Indian massacres [in Salem]. There was a lot of condensed fear,” said Reed, whose own character, Reverend Parris, he describes as “an opportunist who goes which way the political wind is blowing. There was a form of hysteria, the religious repression, and the fear of being on the frontier built on each other.